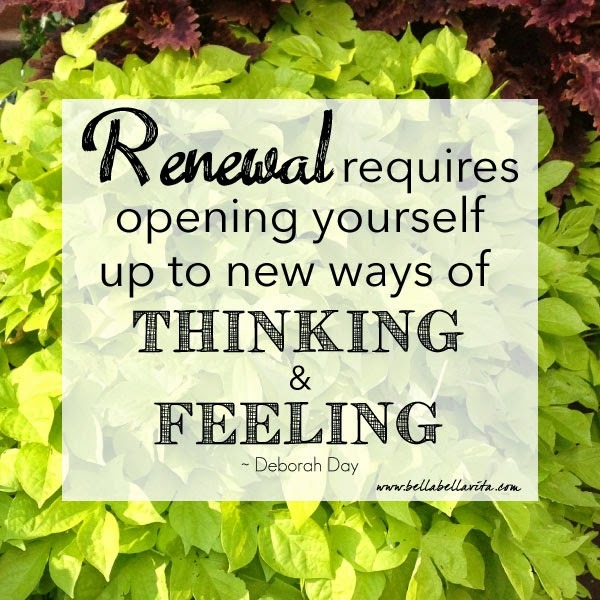 Love this quote from Deborah Day about the concept of renewal. Perfect seed to plant in my mind as Spring unfolds! Copyright ©2014 Bella Bella Vita. Powered by Blogger.